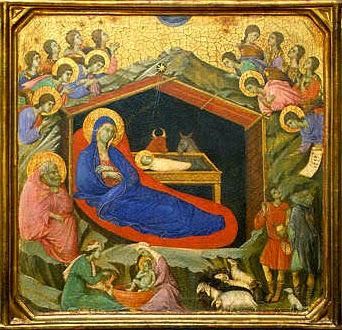 Every year, Catholics repeat the familiar ritual of setting up their crèches, the humble figures of Mary and Joseph kneeling before the manger, not as guardians watching over this hapless baby, but as fervent devotees worshiping the Lord God himself who deigned to take human flesh and allow himself to be treated as their child. This beautiful scene immediately invokes a sense of warmth and even security from this troubled world of ours. We go away often feeling better about ourselves, but hardly disturbed. Why aren't people disturbed by Christmas? One reason is our tendency to sanitise the story of Christmas. We romanticise the story of Mary and Joseph rather than deal with the painful dilemma they faced. We beautify the birth scene, not coming to terms with the stench of the stable, the poverty of the parents, the rejection of the townsfolk, and the hostility of Herod. Don't miss my point. There is something truly comforting and warming about the Christmas story, but it comes from understanding the reality, not from denying it. Christmas is the least disturbing visible facet of Christian life. No one seems offended by the Christmas story. So much so, it is welcomed and even celebrated by popular culture – from carols playing on the radio, TV programmes revolving around a Christmas theme or malls “decked with boughs and hollies” and neon lit Christmas trees. It's Christmastime; our hearts should be focused on the joy of His birth. Certainly! But perhaps something is missing then? For us, the meaning of the manger is found only in the suffering of the Child who was laid to rest within it. The manger has no particular significance apart from the cross. Jesus was, as one man put it, “Born Crucified.” The birth and death of Jesus Christ, the Manger and the Cross, belong together indissolubly. Thus the Manger and the Cross form a union. Both the Manger and the Cross are for us the revelation of God's love. God loved us so much that he did not shrink back from becoming man in a manger. God loved men so much that he did not shrink back from dying on the Cross. The good news is not just that Jesus was born of lowly estate, but rather that He was born to “bear the sins of many.” Jesus did not only choose to share our human nature at his birth, but also undertook to share our guilt, though he was sinless, by dying on the cross. There on the cross hung the world’s “greatest sinner” – “he was without sin, became sin.” Please don’t misunderstand. Jesus was not personally guilty. But though innocent of transgression, He none the less received on His person the full weight of our terrible disobedience. When St Luke gives an account of the birth of Our Lord, he wrote that the Blessed Virgin Mary “wrapped the child in swaddling clothes and laid him in a manger” (Luke 2:7). “Wrapped” and “Laid” - these same two verbs were used back-to-back one other time in Luke: at the end of Christ’s life when his body was taken down from the cross. On Good Friday, Jesus’ body was wrapped in a linen shroud and laid in the tomb (Luke 23:53). In Eastern Iconography, the Cave of the Nativity is deliberately made to resemble the Cave of the Holy Sepulchre or the Tomb of Christ. The point St Luke is making is that Bethlehem foreshadows the Cross. Christmas anticipates Calvary. In the widest sense, we can speak of the Passion of the Lord beginning with the Incarnation. The humiliation of our Lord on Calvary was already preceded by the infinite condescension and humiliation of the Lord in becoming man and being born in a dark dank cave only fit for animals and laid in a feeding trough of the beasts that occupied that same space. Already, here we see glimpses of his passion: the rejection by the towns people would prefigure his rejection by the religious authorities and the masses; the wood of the manger prepares this child for the wood of the cross, as this trough also prepares him for burial in a coffin; the swaddling clothes that wraps his fragile newly born flesh would one day encase his mortal corpse; the cave where he was born already points to the tomb where his body was laid and from here to he would proclaim the good news of the resurrection to the world. This profound correlation between the Birth and the Passion of Christ is beautifully depicted in Michelangelo’s Pieta. We can easily picture the poignant scene of the youthful mother, who carries within her loving arms the broken body of her son. It is not the baby Jesus that you would expect to see on a mother’s lap but a fully grown man. At the manger, the Virgin Mary received Christ from the Father. Now at his death, it is as if the Blessed Mother returns Christ to the father. As one preacher once said, “In the Manger Mary placed (Christ) from eternal life into temporal life, from the arms of the Father into the arms of the world. At the Cross Mary placed (Christ) from temporal life into eternal life, from the arms of the world (the beams of the Cross) back into the arms of (the) Father.” The ultimate consequence of the Incarnation of Christ is his passion and death on the Cross. The ultimate consequence of Bethlehem is Golgotha. The ultimate consequence of the love of God is our redemption! But it is the presence of the Blessed Virgin Mary and St Joseph at the crèche scene that places the final seal on this intimate link between the manger and the cross. Mary and Joseph remained side-by-side, nurturing and protecting the Son of God as he “grew in wisdom.” Today, as you make your little visit and pilgrimage to the crèche scene in the grotto, and as your eyes look with wonder once again upon the baby child placed in the manger, flanked by the Blessed Virgin Mary, His mother, and St Joseph, his father, try to imagine another scene. It is the scene of the main cross at the altar. Traditionally, a statue of Mary was placed on the right side of the crucifix (our left from our vantage point). It is also called the Gospel side of the Church. And to the left of the Christ on the Cross we have his earthly father, St Joseph (to our right, from our vantage point). We all know that St Joseph wasn’t present at the scene of the crucifixion, he does not survive to see the Passion, but Church iconography and architecture places him there for all eternity. It is as if the Church wishes to proclaim the union of the Manger and the Cross by juxtaposing and even transposing the scene of Our Lord’s Nativity onto the scene of His Crucifixion and Death. So, if you have planned to come for a nice Christmas service in order to get your annual dose of feel-good sentiments, I think that you may find yourself disappointed. Christmas isn’t about insulating us from the harsh realities of life, but it does return us to the very moment of God’s entry into this real and troubled world of ours to redeem it. Christ did not come as a panacea, he did not come to take away the pain. Rather, he came to share the pain, and to help us bear the cross that would be our vehicle to salvation. Properly understood, therefore, the message of Christmas confronts before it comforts, it disturbs before it delights. And only those who have been profoundly disturbed to the point of deep repentance, those who understand both the burden and the blessing of the cross, are able to receive the tidings of comfort, peace, and joy that Christmas proclaims.